Teaching and Training students for a dentistry professional course should encompass all around exposure to both clinical and theoretical aspects. Any one aspect without the other , would produce unsatisfactory doctors for our future society. Hence in GNIDSR , our focus is on CUMALATIVE AND SKILL BASED LEARNING. ENCOURAGE USE OF ELECTRONIC RESOURCES BASED CLASSES / SEMINARS FOR BETTER UNDERSTANDING OF THE SUBJECTS. USE OF PATIENT TREATMENT VIDEOS FOR BETTER UNDERSTANDING OF CLINICAL PROCEDURES. REGULAR “ DOUBT CLEARING “ DISCUSSIONS WITH LIMITED GROUP OF STUDENTS , SPECIALLY IN CLINICAL SUBJECTS. 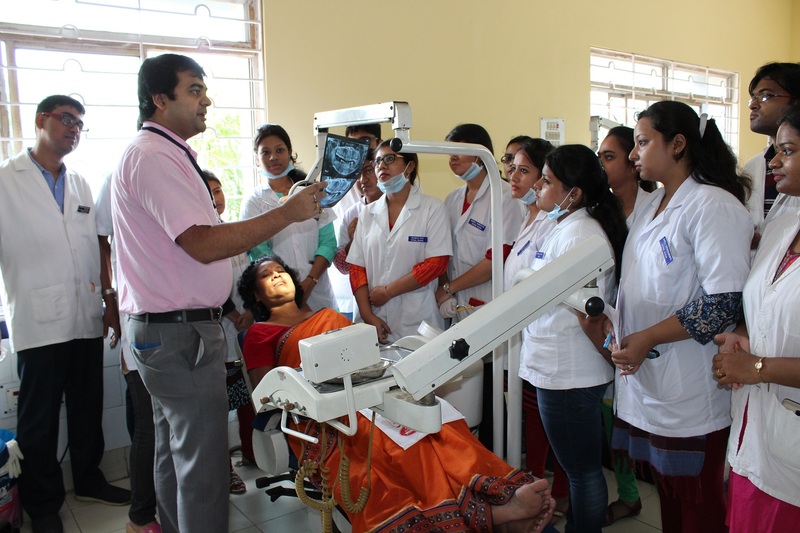 DEMONSTRATION OF SPECIAL CLINICAL SKILLS IN DENTAL CHAIR SIDE IN SMALL GROUPS FOLLOWED BY CONTINOUSLY MONITORED EVALUATION OF TREATMENT OUTCOMES. USE OF PHANTOM LABS AND DUMMY MODELS TO TRAIN SKILLS OF CONSERVATIVE DENTISTRY AND CARDIOPULMONARY RESUSCITATION. In addition to the above modalities , postgraduate students of our institute are sent to rotary posting across various other centres of excellence in the country for better training in special surgical / dental skill , eg cleft lip and palate training , maxillofacial prosthesis traning , laser dentistry. A student when he enters the dental institute is filled with anxiety , expectations and aspirations. He has colleagues , peers , teachers , parents and patients , all who fill the student with a plethora of information and queries. The early student is thereby swayed by varying influences , which can lead him/her to both good and bad directions. Hence our institute feels , a constructive guidance is very essential for the early student in this formative period. This is done by our UNIQUE TEACHER MENTORSHIP PROGRAM. Every first year student , is allotted a faculty / teacher who acts as a GUIDE AND MENTOR to the new student in this vunerable period. The faculties selected as TEACHER MENTORS are carefully selected from a pool of teachers , who show great understanding , compassion and empathy in dealing with student affairs. They are faculties who bond well with students and make them comfortable and incultate positive values in them. The TEACHER MENTORS interact with his/her student on a regular basis and give feedback to the parents , as well as principal , in case of any concern. The students can access the teacher anytime through physical meeting , email or mobile phone. Guiding Students to Career Prospects and Planning for future. Every year our Instituite gets 100 undergraduate students and approximately 35 postgraduate students , who join us after rigourous competition from NEET and Joint Entrance Examinations. 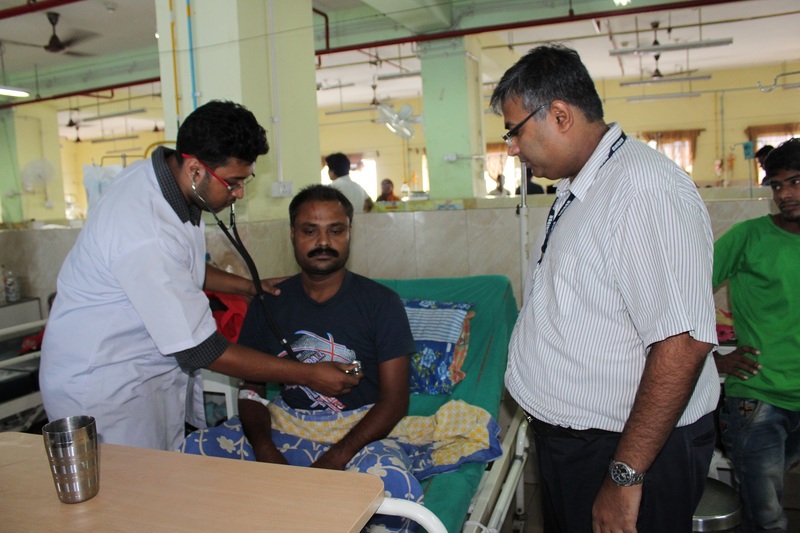 They bring with them a concoction of emotions ranging from anxiety , enthusiasm and a zeal to be better doctors. Every year we welcome these young future dentists and doctors of our society in a unique one day event called the FRESHERS WELCOME. The freshers welcome is a chance for our new students to INTERACT with there teachers and fellow seniors , to create a POSITIVE WORKING ENVIRONMENT. The students are encouraged to introduce themselves and highlight there hopes and aspirations to the faculty and seniors. The seniors organize a small cultural program for our new doctors entering the profession. The principal and senior faculty interact with the students , and guide them with the past , present and future of the profession they chose. The freshers are allotted teacher mentors , who act as PARENTS AWAY FROM HOME for them. The institute believes in a RAGGING FREE CAMPUS and the new students are made comfortable to there new environment. Interaction with there seniors help them elevate there fears of ragging and encourage them to socially mingle. At our Institute we feel , adequate parental guidance does not end with schooling , but is an integral part of making a successful professional out of his/her child. The institute encourages regular interaction of teachers with the wards parents. The Parent Faculty interactions are generally done twice a year in clinical dental subjects , or after regular assessment exams are declared. In addition to this , before half yearly course is completed , the parents of certain students who the faculties feel need special attention in certain subjects are called for interaction. The interaction is always one to one , so that each students strengths and weakness’s can be highlighted effectively. The students are also asked regularily about there feedback on teachers and teaching methodology. A FEEDBACK FORM is collected quarterly from students in each subject , which is a blinded assessment of permeation of knowledge among students , done by the head of each department.